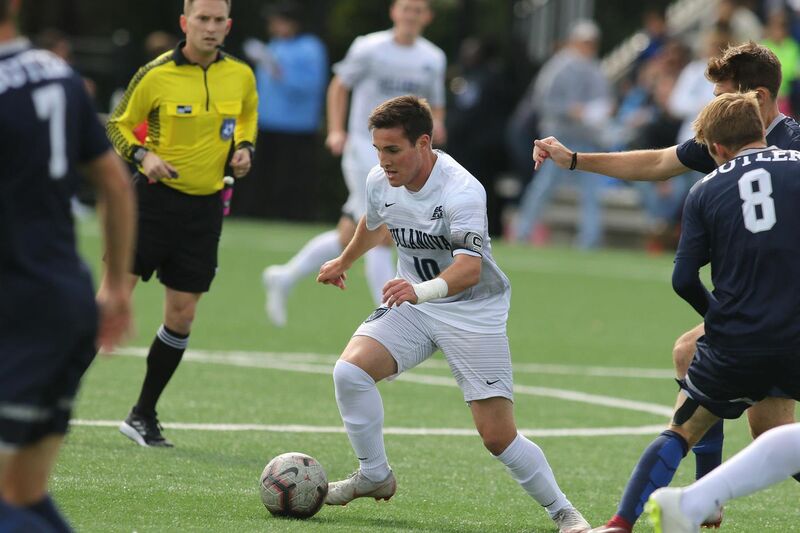 West Chester native Zach Zandi had seven goals and three assists for Villanova's men's soccer team in 2018, and won All-Big East second team honors. Villanova midfielder Zach Zandi, a Union academy product who led the Wildcats in scoring this past fall, turned pro on Tuesday and signed a contract with the Union’s USL team Bethlehem Steel. A West Chester native with a box-to-box skill set, Zandi had seven goals and three assists in 2018, and won All-Big East second team honors. In 2017, Zandi was the Philadelphia Soccer Six (the six local Division I schools) player of the year. In 2016, he helped the Wildcats reach the NCAA men’s soccer tournament for the first time in program history. Along the way, Zandi trained with Bethlehem a few times during summers, and played for well-regarded regional amateur team Reading United — including in some early-round U.S. Open Cup games. Zandi’s coach at Reading, Stephen Hogan, is now an assistant at Bethlehem. Zach isn’t the only notable soccer player in the family. One of his sisters, Sydney, is a sophomore at the University of Virginia who has played for United States under-17, under-18 and under-19 youth national teams.